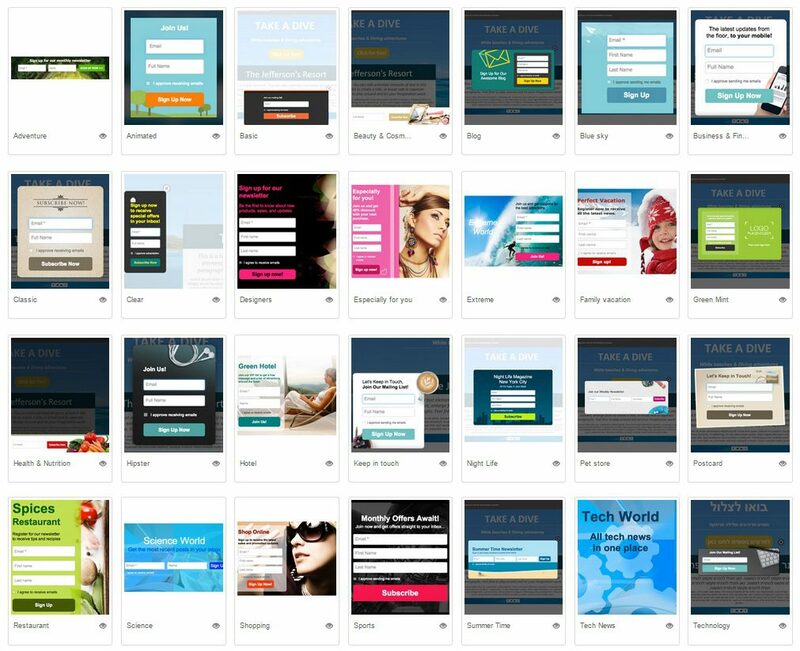 ActiveTrail’s advanced sign-up form builder is the best tool available online to grow your mailing lists. Sign up forms must be professional, prominent and well-designed as they are the first step in creating high-quality email marketing lists. 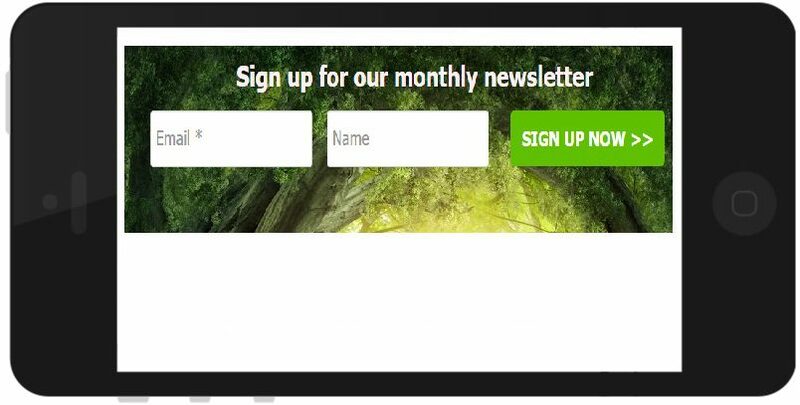 Incorporate our newly designed sign up forms into your website or landing page in order to immediately start subscribing new users. ActiveTrail’s sign up form builder is one of the most advanced systems worldwide, including a wide array of ready-to-use predesigned templates, a friendly editor and many other cool features such as animation and pop-up forms. The system allows you to position the form anywhere on your page and to choose how it will be displayed: as a pop-up, floating window, or embedded in the page. You can even set the time that the form will be visible, and many other timing features regarding the form’s appearance. Using sign up forms, you can create an efficient information database regarding your clients. This database will play a key role in your marketing efforts and help you acquire surprisingly high conversion rates. Once you have acquired the information, the possibilities are endless: from email marketing adjusted to the individual to newsletters with a personal appeal for each and every recipient. Embedding a sign up form and working alongside ActiveTrail’s advanced marketing services will take your marketing efforts to a whole new level – you’ll see the results right away. Designing your sign up form is the fun part, even if graphics isn’t your strong suit. Add images, your company’s logo, text and color – all based on your company’s design spirit. Can’t think of an original idea? Just pick one of the predesigned templates waiting for you. • How the form will be displayed on your website: as a pop-up, floating window, or embedded in the page. • Will it be displayed while the page loads, after it loads, or as you scroll down the page? • Timing – time your forms appearance. • Location – locate your form anywhere you want. All the features at ActiveTrail, including sign up forms, are designed to be mobile responsive. Studies show that the average user checks his/her cellphone 150 times a day. Mobile responsive sign up forms will ensure that you never miss a potential client because the form didn’t show on the mobile display. ActiveTrail’s sign up forms automatically adjust themselves to any screen size – all you have to do is design and view the prepared forms in the preview screen. 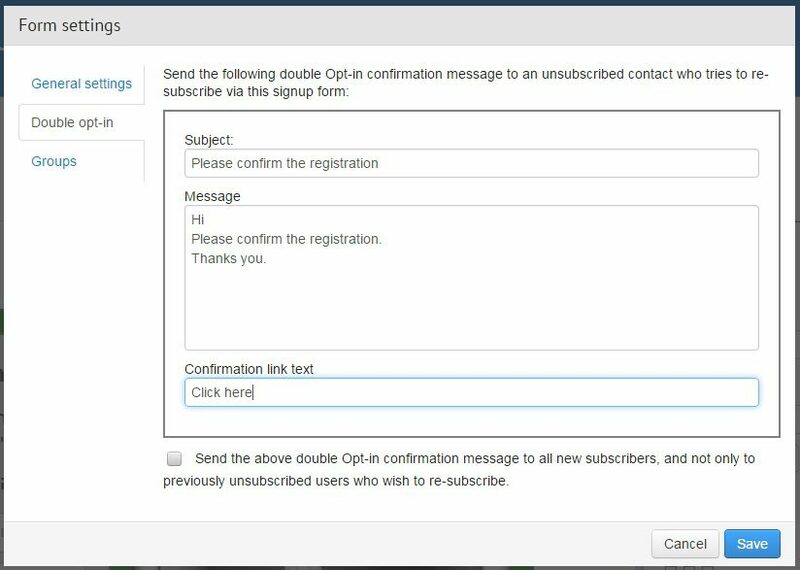 Design double opt-in sign up forms to build trust between you and your recipients. Double opt-in means the system will automatically send a message to every new user who signs up, requesting confirmation for the sign up process. The system will provide extensive information and statistics regarding your forms. You can view the number of sign ups, the information filled by your subscribers, and even export your email marketing lists to an external file. You can view all sign up forms created, the date they were created, the number of subscriptions from each one, and their status. Clicking on any form will display detailed information regarding that form. To create dynamic groups with specific characteristics, set the system to automatically associate certain properties with a specific recipients list. You can also have the system notify you by email every time a new recipient is added to your dynamic group. Log into ActiveTrail and create a sign up form to significantly expand your email lists.